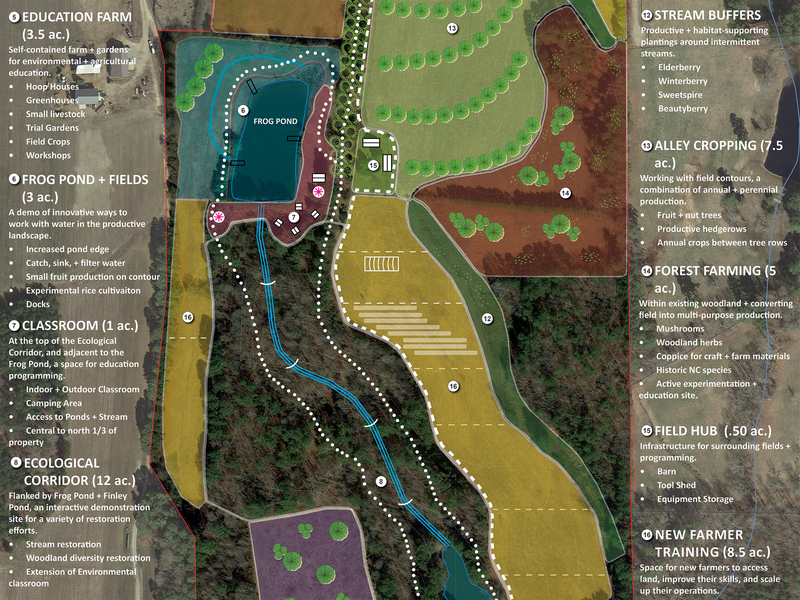 A concept design process for preserved land helps Triangle Land Conservancy integrate regenerative agriculture, education, historic preservation, and community building with their conservation mission. 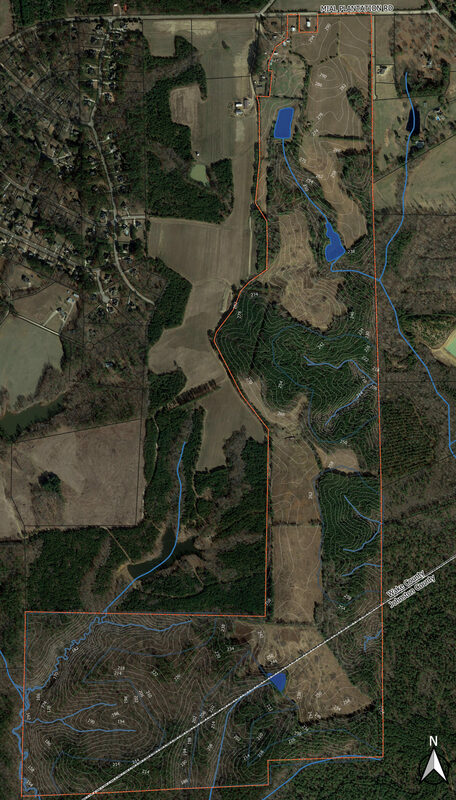 The Sarah + Bailey Williamson Preserve at Walnut Hill is a 405‐acre property owned and stewarded by the Triangle Land Conservancy. 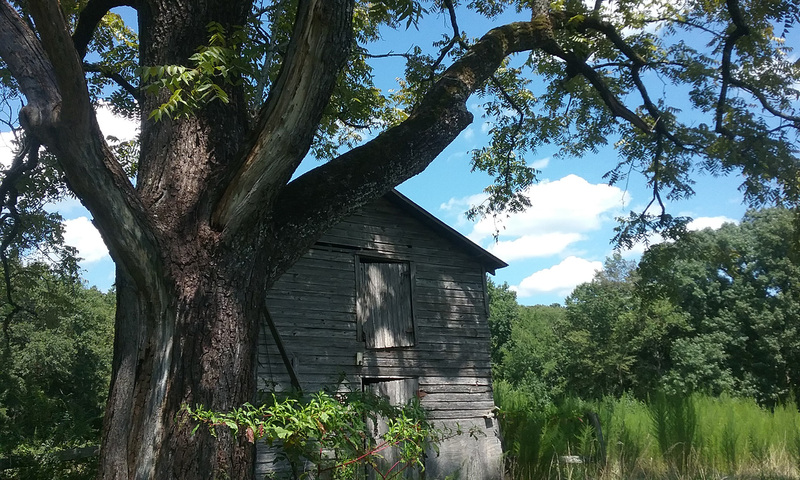 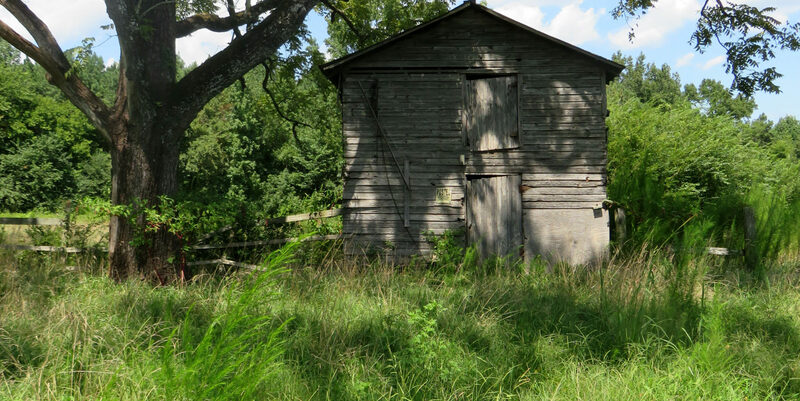 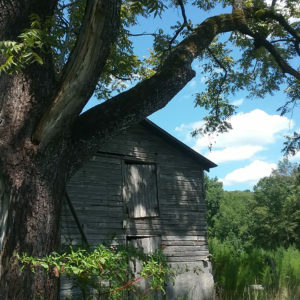 Once part of a large and prosperous cotton plantation, the land today is a rich mosaic of old fields, woodland, pasture land, ponds, streams, and historic buildings. 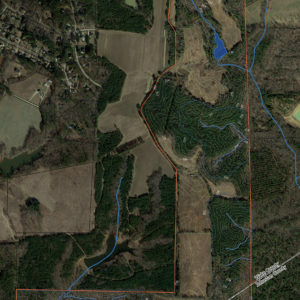 Triangle Land Conservancy (TLC) has a bold vision for the Preserve, which touches on all aspects of TLC’s mission of safeguarding clean water; protecting natural habitats; supporting local farms and food; connecting people with nature; inspiring community action; and inviting collaborative partnerships. 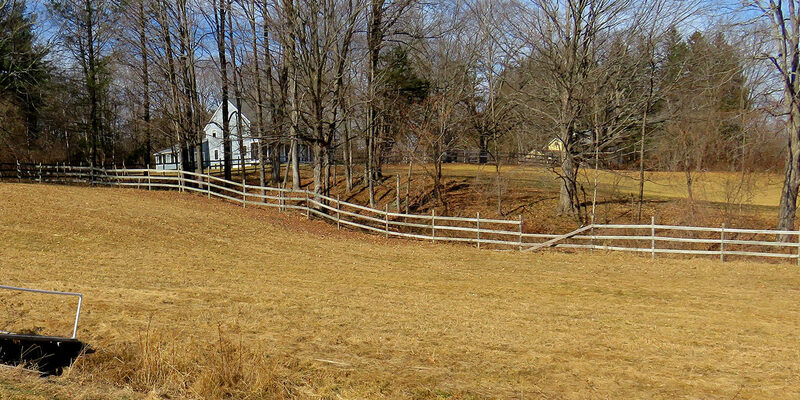 Historically, TLC has focused on establishing public and private nature preserves. 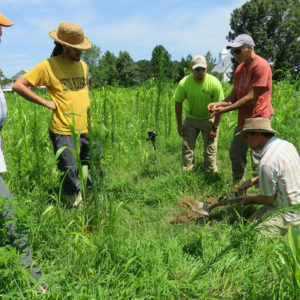 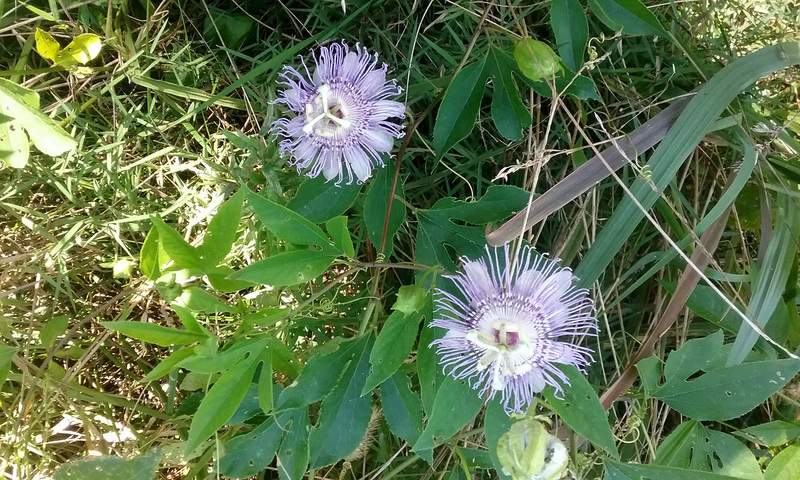 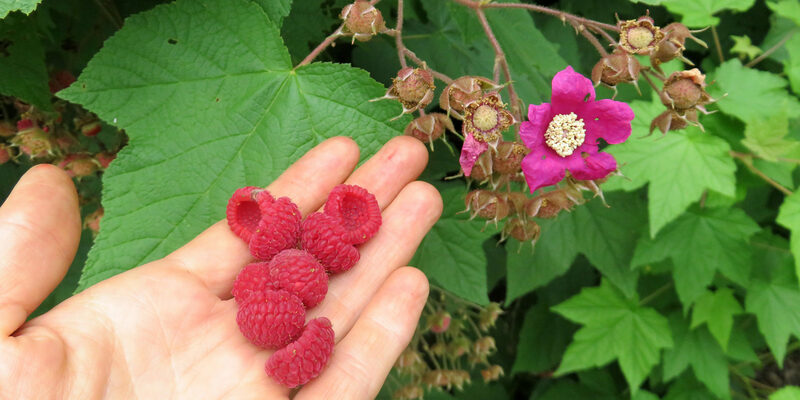 An exception to this rule is the J. Logan and Elinor Moore Irvin Nature Preserve, a private preserve where farming and education have successfully been integrated with conservation goals. 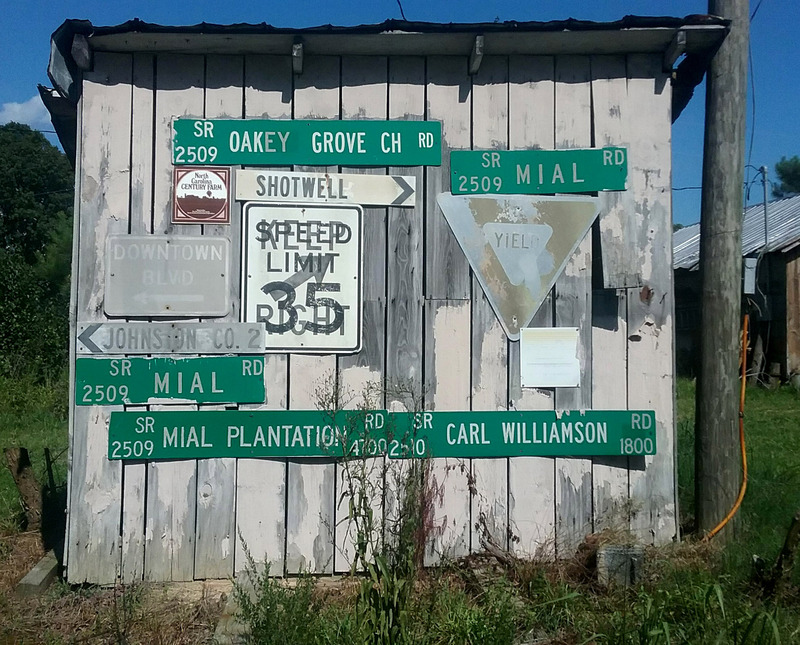 The precedent of Irvin has informed TLC’s vision for Walnut Hill, with some variations – namely, that Walnut Hill is to be a regenerative agriculture and education hub, open to the public. 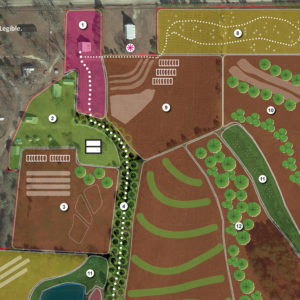 In the Summer of 2018, TLC awarded Regenerative Design Group a contract to create an agricultural master plan for Walnut Hill. 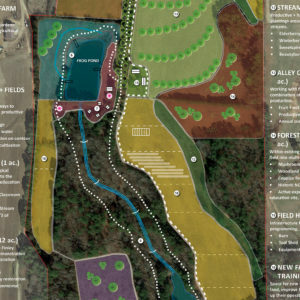 RDG’s team included Dave Boehnlein–principal and co-founder of Terra Phoenix Design–who provided expertise in site assessment and regenerative farm planning. 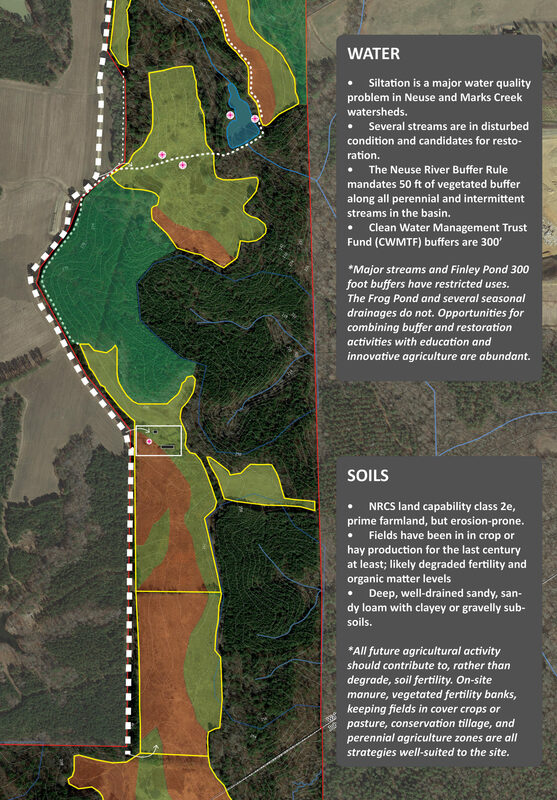 We started with a Whole Farm Concept, which organizes a spectrum of use along the site’s north-to-south axis. 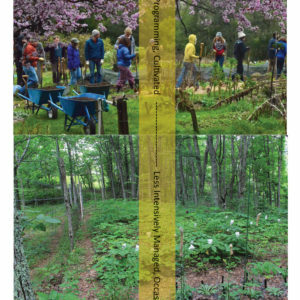 Patterns of arrival; access and circulation; buildings, infrastructure, and utilities; field layouts; and special places all suggest a greater diversity and intensity of activities in the north, that gradually decrease in intensity as one moves south toward larger woodlands and conservation lands. 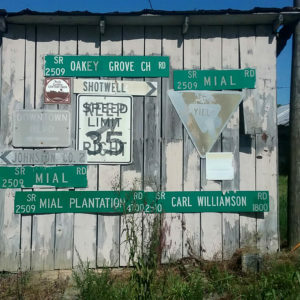 Organizing the site in this way helped to make the considerable programming and agricultural goals more digestible, and can aid with planning priorities as Walnut Hill grows and changes. 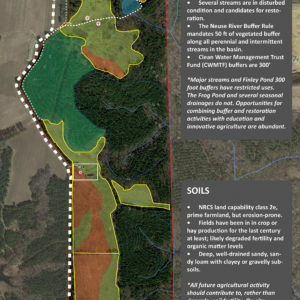 RDG further developed concepts for the north third, to tease out the implications of focusing on a production farm versus an education farm. 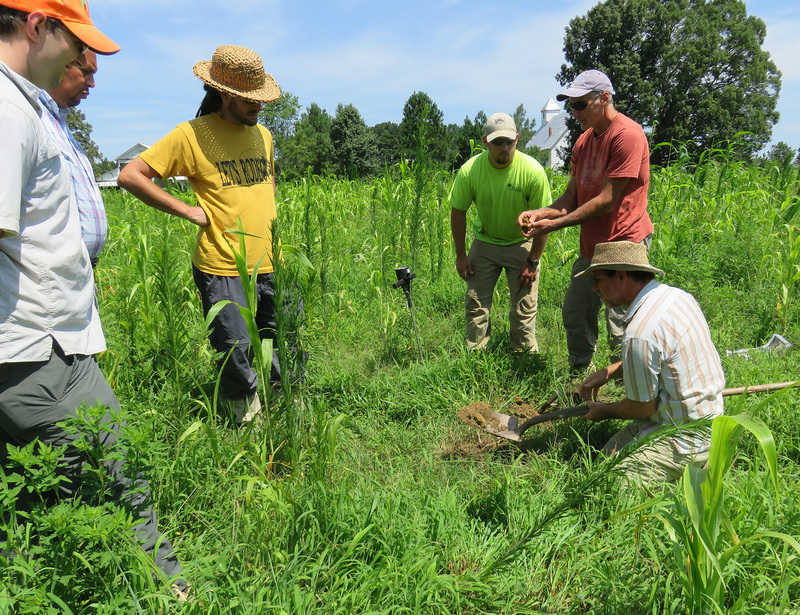 All concepts were presented to stakeholders in late September, and were well-received. 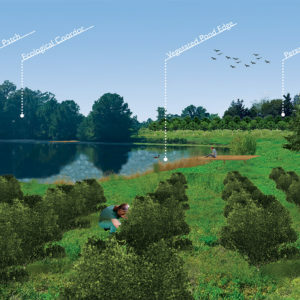 Many commented on the value of the concept development process in determining feasible projects and timelines. 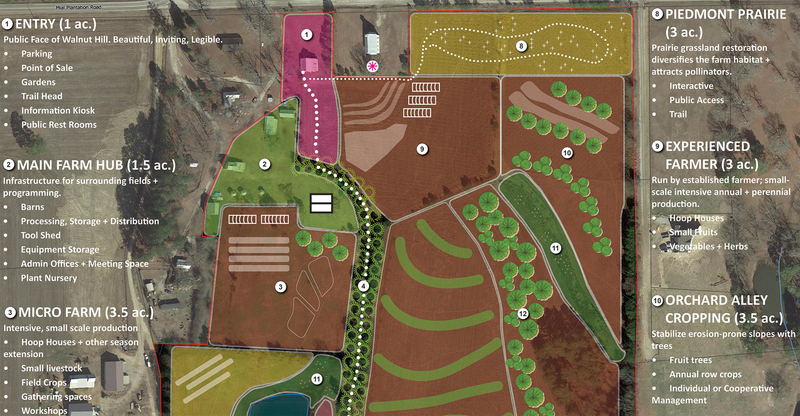 We hope that the full plan–which included conceptual phasing, guiding principles, and renderings to help with outreach and fundraising efforts–helps to organize the development of Walnut Hill into a hub for regenerative agriculture, education, and community building.